You might be buried in messages from friends and family, or there might be an urgent need to respond to a client/senior's query - whatever the case may be - Gmail is one of the most important parts of both our personal and professional life. And who wouldn't want to know just a little more to manage it without any hassles? We know you would love to have some tips to go through your Gmail inbox faster and manage your email account better and for that, we have some Gmail tricks which will help you transform yourself into an email genius and will let you know how power users go through Gmail every day. One would love to be as productive as he or she can be while working on Gmail and since this is the most popular email service in the world right now, with over one billion users, we know that there are a hell lot of people trying to master Gmail but need some guidance. 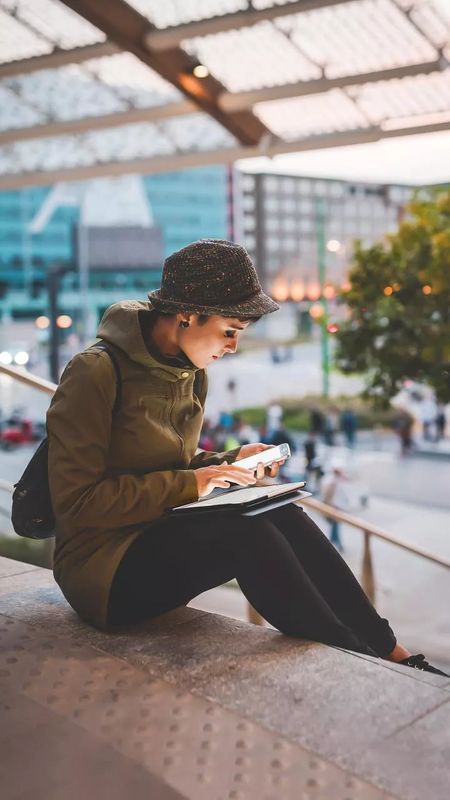 Fret not, here we are with some of the most valuable Gmail trick and tips which will help you take advantage of the dozens of hidden features that you might not have heard of but can boost your productivity. There are a lot of unimportant emails in your inbox and Gmail can help you in this by telling you which messages are the most important ones. In order to do so, you need to select Priority Inbox in your Settings menu and then Gmail will automatically select the most pressing messages while bringing them to the top. This feature uses information which is gathered from everyday use in order to evaluate the importance of every incoming email as well as sent emails. Even if Gmail gets it wrong, you have an option to flag messages as important and Google will remember that to better itself the next time. Moreover, the messages deemed unimportant are not erased and are just moved to a low-priority folder. You can use Gmail's built-in task manager in order to help you remember an order that needs to be placed or even make that important phone call, instead of noting it down on a piece of paper. To get started with the task manager, just click the down arrow situated near the top-left corner in your Gmail inbox, and click on Tasks. The task manager will let you easily add items to the to-do list and even check them off after they are completed. You can also set a deadline for a task, and that particular task will be added to your Google Calendar automatically and when the deadline comes near, Gmail will even send you a reminder message for the same. You can customize your Gmail address by subscribing to Google Apps for Business and use an email address which reflects your brand. This means that instead of your-name@gmail.com, you can have a Gmail address reflecting your-name@your-business.com. However, this feature doesn't come for free and only businesses which subscribe to Google Apps for Business get a customised email address, among all its other perks while the service costs $50 per year. Moreover, you will have to prove that you own the domain name which is used in your new email address, after which Google will allow the change. There are times when you want to send a file which weighs more than 25MB and it could be a presentation of a media kit of your product, but Gmail has a limit of 25MB when it comes to sending an attached file with an email. However, you can use Google Drive in order to do so as Gmail lets users attach files that weigh up to 10GB via Google Drive as long as they have been uploaded to the Google’s cloud storage. To use the feature, just click the Google Drive icon in Gmail's compose window, before selecting the respective file and it will get attached to the email you are composing. This feature works by granting another Gmail user download privileges for a file uploaded to your Google Drive account. You might be applying for multiple job opportunities or might be sending your media kit to multiple media houses or prospective clients, whatever the case might be, sometimes, you just don’t have the time to compose a personalised mail. But worry not, by enabling the Canned Responses to feature in your Gmail account, you can store prewritten messages or previously composed messages and then select one according to your need from the Compose window. It will help you save a lot of time while replying to similar queries or frequently asked questions. In order to activate this feature, navigate to the Labs tab from your Gmail Settings menu, and enable Canned Responses. Whenever you want to create a custom message, which could be used for future references, simply type it into Gmail's Compose pane and select the down directional arrow situated in the lower-right corner to save it under Canned Responses. There are many users or businesses that juggle with multiple email addresses at once. 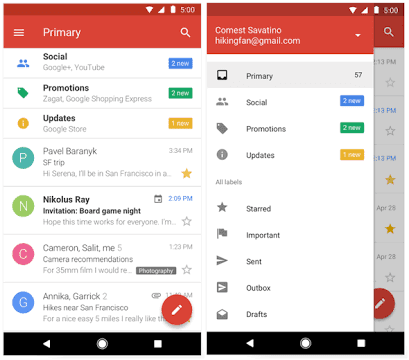 They might switch frequently among their personal address as well as several other company addresses, but Gmail streamlines this process by letting users manage multiple accounts within a single interface. In order to activate this feature, navigate to the Account tab situated under Gmail Settings, and click on "Check mail from other accounts". Gmail will now automatically fetch emails from your other accounts and you only have to check one. Moreover, fetched messages can be read, as well as replied to, from your primary account itself.